"Kelly is simply amazing, my daughter and I have both had the deluxe hydrafacial treatment carried out by her. We were amazed at the results and just had to book more! We are both currently undergoing a course of 3 each and they are well worth the money spent. Kelly takes her time to give you an amazing experience aswell as radiant skin. I always say Kelly has "magic hands" and if anyone was to have one of these treatments from her, they would feel the same. This lovely lady analyses your skin and recommends the best hydrafacial to suit your problems and skin type, or if its just wanting refreshed radiant looking skin or some well deserved pampering you want, this is the lady to go to! I felt in seventh heaven after treatment with Kelly, I wish it could have lasted forever she has a passion for delivering the best and most relaxing Hydrafacial you could ever imagine! Kelly never rushes a treatment and spends time talking to you about what is best for you and how the treatment will benefit you, needless to say i'm addicted to her 'magic hands' and feel a million dollars when i leave the clinic!" "March 2014, i had a blephroplasty and rhinoplasty surgery, my aftercare was carried out by Kelly. During this time Kelly introduced me to Hydrafacials which i found to be really enjoyable and excellant to my skin care routine. Kelly also introduced me to a fantastic ZO skincare range, which i have found invaluable and would never use anything else. My daughter has now also been introduced to Hydrafacials and ZO products which she has found excellant to combat her oily/congested skin. We both visit CC Kat Aesthetics every few months for our treatments with Kelly, and we really look forward to visiting the clinic. I have found Kelly excellent and very knowledgeable on all her treatments and skincare advice. She goes out of her way to look after us where in which i feel valued as a customer. I now also use the Jane Iredale make up range, which Kelly took the time to colour match my skin after a facial. She taught me the application of mineral make up and how to get the best from my make up. Due to the trust i have built up with Mrs Kat performing surgery and Kelly maintaining a hight standard of care, i would not go anywhere else for Spa treatments and have no issues with the travelling to get there." "Lucy explained everything to me clearly as i didn't know what to expect. She asked me throughout the treatment how i was, but infact the treatment was very gentle and relaxing ! I would definitely have this treatment again. " "The treatment had immediate effects and I instantly felt revitalized and my skin looked hydrated and glowing!I expected a much more abrasive feeling, however it was actually quite gentle considering the effects that the treatment has given my skin. 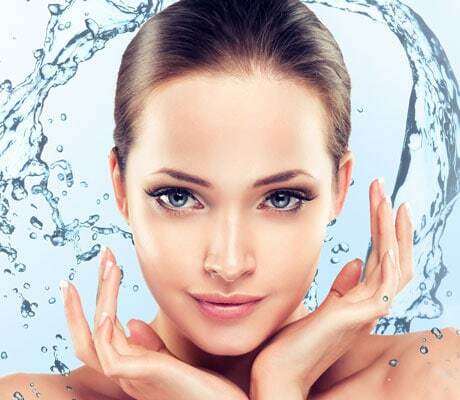 I would definitely recommend the HydraFacial to everyone!!" "Lucy was Fab! The treatment felt gorgeous and was so relaxing! And as an added bonus my skin looks brighter and feels a lot cleaner! Thank you so much. x"
"The treatment was fantastic and i am very pleased with the feel and look of my skin. I will be recommending it to all my friends! I am definitely thinking of continuing having this treatment in the future."